ALR Chapter 28 will be hosting a chili & hot dog supper with dessert on Saturday, February 25th from 3:00 p.m. to 6:00 p.m. The cost is $5.00 per person. Come out and join us. The event will be held at American Legion Post 28, 1930 McDonald Ln, New Albany, Indiana. * Note: Members, please get donations for door prizes and a raffle for the event. The American Legion, Department of Indiana 2017 Mid-Winter Conference will be held Friday, January 13th, 2017 through Sunday, January 15th, 2017. The conference will be held at the Marriott East Hotel, located at 7202 E 21st St, Indianapolis, IN 46219. The Mariott telephone number is (317) 322-3716 in case you need reservations. 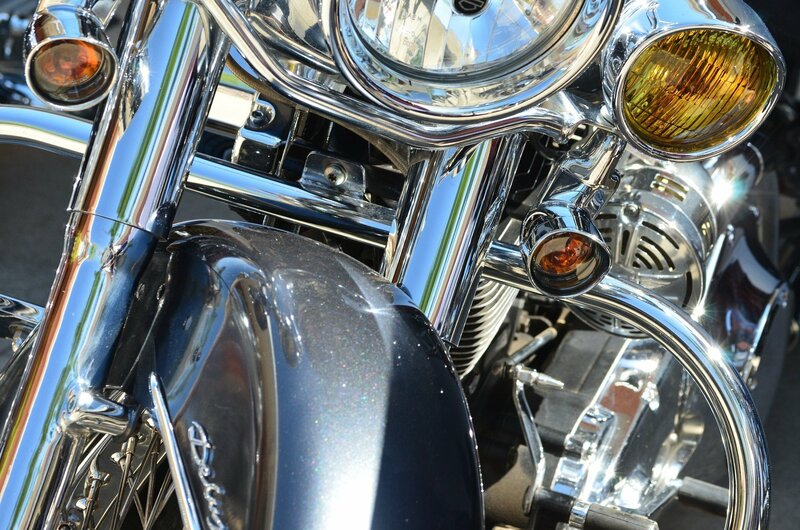 The Legion Riders Chapter meeting is scheduled for Noon in Salons 1-4. Additional information, including the full agenda, can be found on the IndianaLegion.org website. ALR Chapter 28, 2017 Assistant Director Dave Thomas will be attending the conference on Saturday, January 14th. If you are interested in attending, please contact Dave directly. The next scheduled monthly meeting of ALR Chapter 28 is on Thursday, January 5th, 2017 at 7:00 p.m. Come out and join us. Visitors are welcome! Brave the cold, come out and kick off the new year with your fellow riders! We will have pizza at the meeting, so bring your appetite! 2017 officers will be installed at this meeting. P.S. We have a new automatic email service! Anyone that didn’t get this post emailed to them can sign up via the new orange box on our website at www.ALR28.com and they will receive all future website posts. This also corrects an issue where some individuals were getting duplicate emails. Riders, the next scheduled monthly meeting of ALR Chapter 28 is on Thursday, December 1st, 2016 at 7:00 p.m. Come out and join us. Visitors are welcome! NOTE: All ALR Chapter 28 officers please meet at 6:30 PM for an officers meeting prior to the monthly membership meeting. 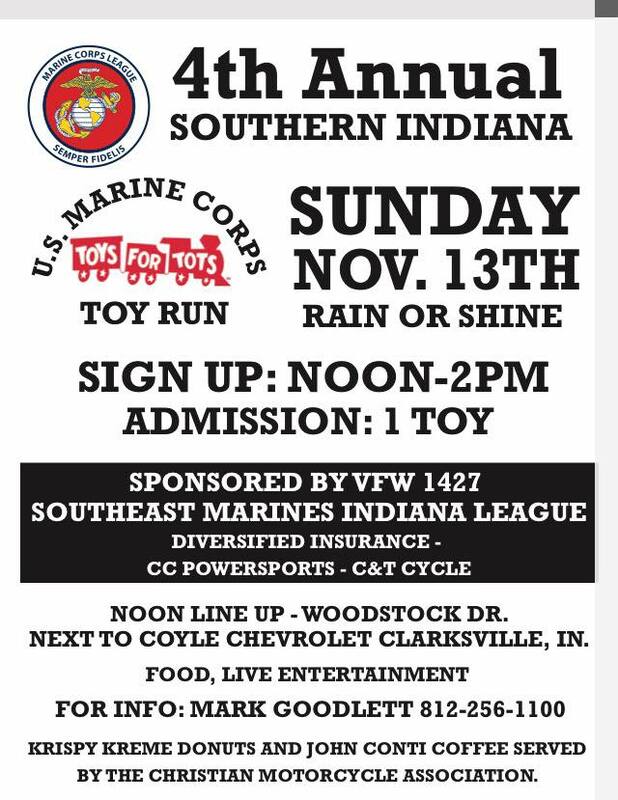 American Legion Riders Chapter 28 will participate in the 4th Annual Southern Indiana U.S. Marine Corps Toys For Tots Toy Run to be held on Sunday, November 13th, 2016. 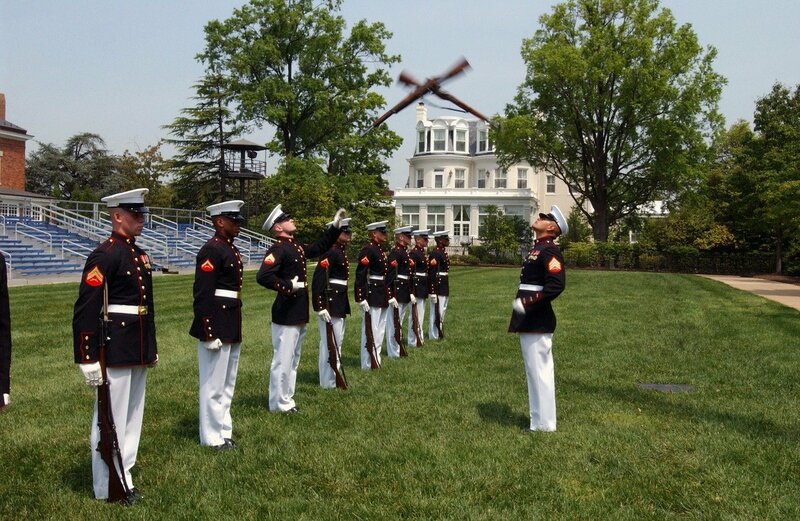 Chapter 28 will participate in the annual Veterans Day ceremonies in New Albany on Friday, November 11th. We will ride in this event rain or shine! Meet at Post 28 at 9:45 a.m. Kick Stands Up at 10:00 a.m.